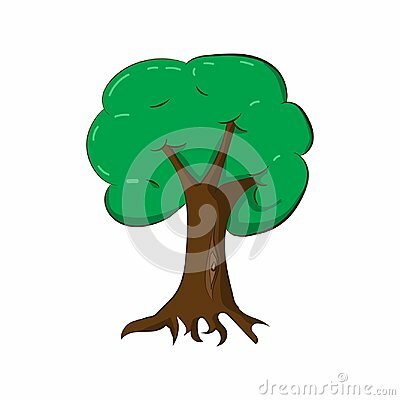 Vector illustration of a green tree. Natural illustration. Vectorial money and coin flowers. Coloring with the image of tropical fruit . Leaves on a green background. Botanical seamless pattern. Exotic leaves on a green background. Tropical pattern with banana leaves.